Found 24 blog entries for August 2015. Saturday, August 29th, 2015 at 8:31am. This weekend, we dedicate our article to all Edmonton real estate investors. The world economic turmoil is taking a toll in the country. Those who have invested in real estate are the ones best poised to move pass this hurdle. 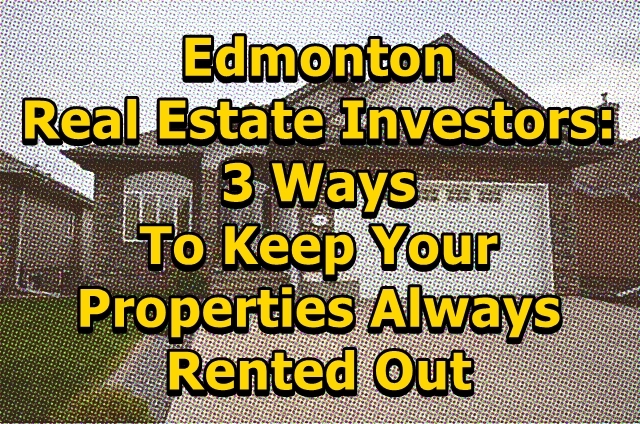 Kudos to you if you own a rental property in Edmonton! Here are a few ways for you to keep your rental properties full this year. 1. RETAIN YOUR CURRENT LESSEES/TENANTS. 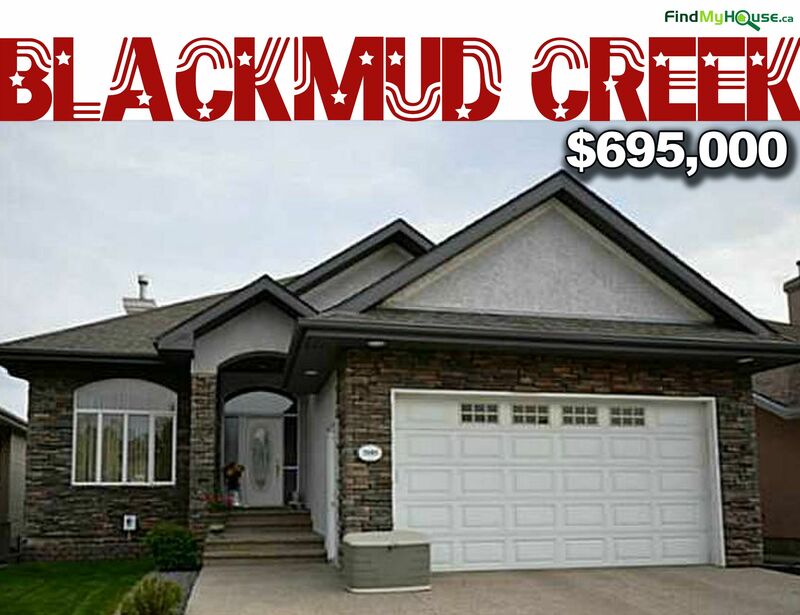 Home For Sale In Edmonton: 2085 Blackmud Creek Dr Sw, 4 Bed, 3 Baths, $695k! Thursday, August 27th, 2015 at 2:04am. 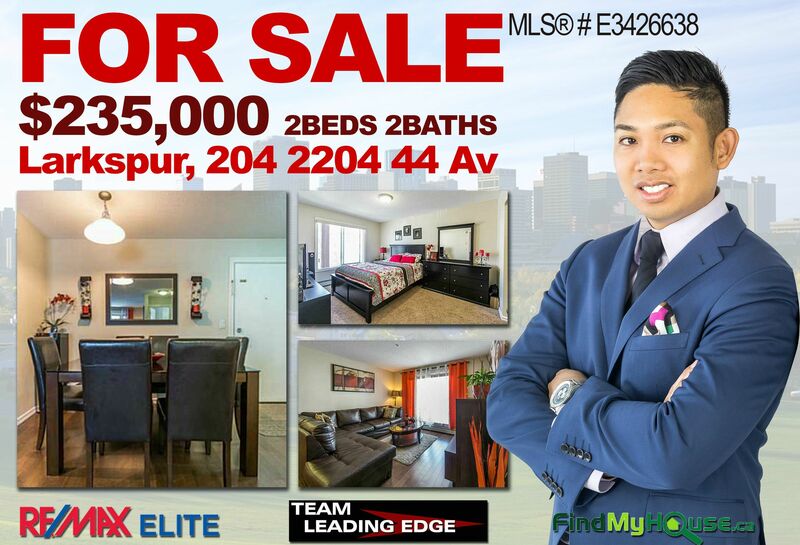 The newest Edmonton Home For Sale on the block! Your future home will have a generous supply of natural light thanks to its extra large windows, this is a great feature to lower down your electric costs-YES TO GREEN LIVING! For $695,000 this home will bring the best bang for your buck! 4 bedrooms, 3 bathrooms and 1,707 sq ft of living space will delight your entire family! Thursday, August 27th, 2015 at 12:39am. Today, we feature our Charlesworth Edmonton home simply because you deserve to see it! This Home For Sale in Edmonton provides the complete package for you. 3 spacious bedrooms with 3 bathrooms and a huge 1,847 sq ft of living space, perfect for your own private Nirvana. If you've been looking hard for the best deal in the Edmonton MLS listings space, then look no further! You'll have the best bang for your buck with its $450,000 price tag. Tuesday, August 25th, 2015 at 9:52pm. In today's issue of Edmonton Home Improvement Tip we feature the most practical way of maintaining your Bathroom Fan. Our resident Home Inspector, Dave Watson, shows us the best methods to successfully do this activity. Keeping your Edmonton home up and running properly should always be one of your major concerns and being Edmonton home owners ourselves, we at Team Leading Edge know the pain and struggle of balancing office work, family and home maintenance. This is the reason why we made this monthly issue to help, assist and remind you of the simple ways in achieving those Edmonton home maintenance goals. 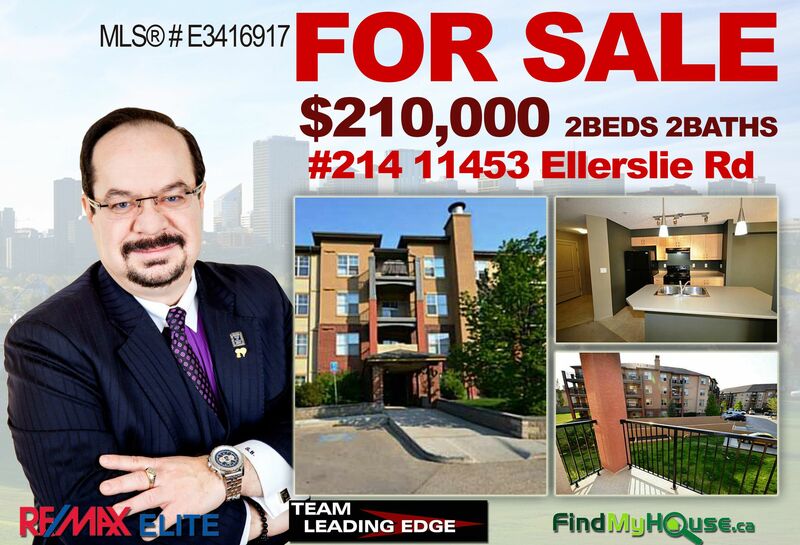 Ellerslie Road Edmonton Condo For Sale, Only $210k! Tuesday, August 25th, 2015 at 9:31pm. 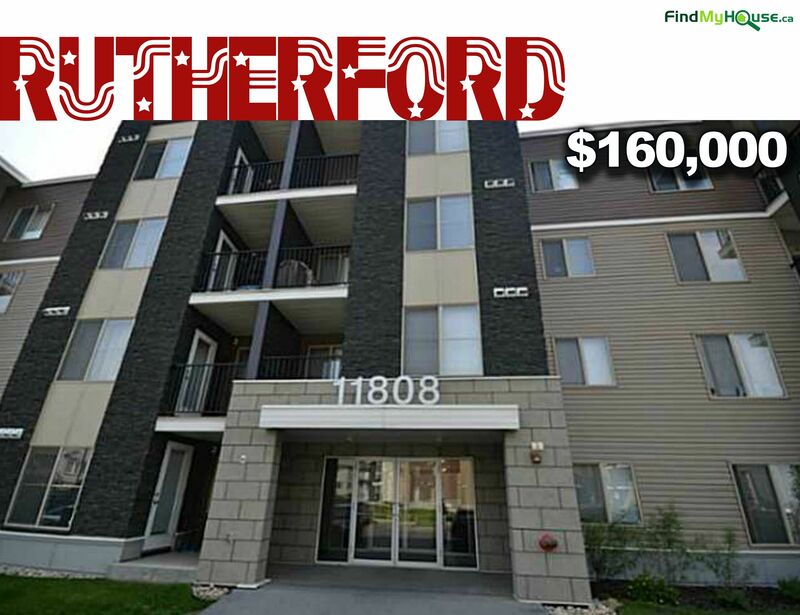 Ever wanted to own a 2 bedrooms, 2 bathrooms condominium unit in the beautiful neighborhood of Rutherford? Well, this is your lucky day! Today, we feature this magnificent Rutherford condo unit, selling for only $210,000! It's 858 sq ft of living space will give the best bang for your buck! Indeed, Edmonton Homes For Sale just got even better! Monday, August 24th, 2015 at 1:53am. Buying an Edmonton home is a very personal experience for all Edmontonians, especially in this trying economic times. 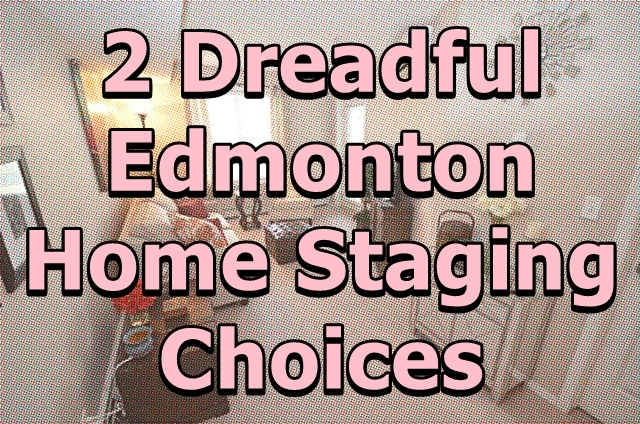 Today, we decided to discuss the mistakes being done by Edmonton home owners in the home staging process. Every moment in the selling process counts, so knowing these information can and will help all those sellers who are really serious in getting their home sold. THE DREADED COLLECTION. In the home staging process, the most crucial thing to aim for is to have the Edmonton property look very neutral and organized, which unfortunately would not be achievable in any collection. Thursday, August 20th, 2015 at 11:00pm. We have another price reduction in our hands! 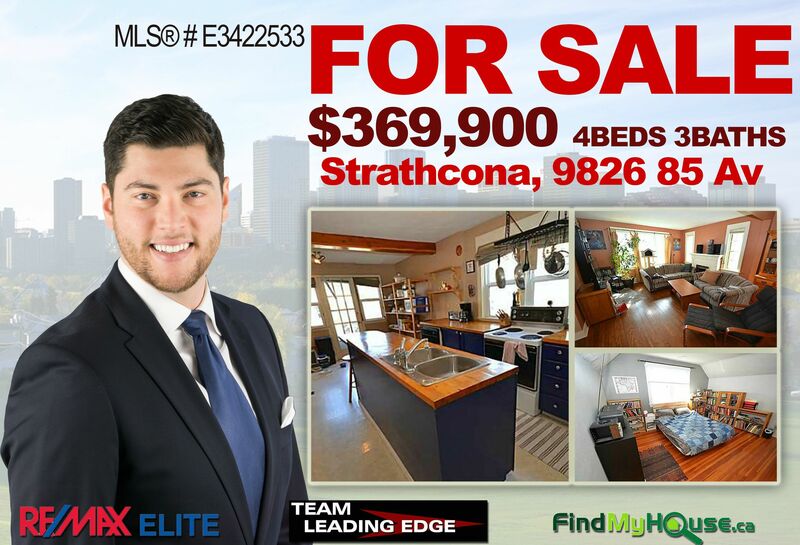 This time, the price reduction comes from one our listings located in Strathcona, Edmonton. From $385,000, now its $369,900! Oh yeah! the lucky owner of this home will have 4 bedrooms, 3 bathrooms and a full 1,427 sq ft of living space all for himself or his family. Edmonton Homes For Sale just keeps getting better and better! Thursday, August 20th, 2015 at 10:14pm. This LARKSPUR Edmonton home is looking for a new owner? Will it be you??? 2 bedrooms, 2 bathrooms and 935 sq ft for only $235,000 can be considered as an awesome bargain! The unit comes with an underground parking to keep your car warm and secure. Home For Sale In Edmonton: Rutherford #311 11808 22 Ave Sw Rd, 1 Bed, 1 Bath, Only $160k! Wednesday, August 19th, 2015 at 11:21pm. CALLING ALL THE SINGLE GENTS AND LADIES OUT THERE! THIS IS YOUR CHANCE TO OWN A PAD YOU CAN CALL HOME! For only $160,000, this 1 bedroom, 1 bath condo unit is yours! 515 sq ft is enough personal space for anyone looking to kick start their careers in the beautiful city of Edmonton. Want to know the best part? this property is located near Century Park and the LRT/transit center is a few steps away for a quick access to Downtown! Party on! Check out the gorgeous interior below! Tuesday, August 18th, 2015 at 11:36pm. In this trying economic times, Edmontonians should use all available ways and options to conserve, preserve and increase their wealth, especially in the real estate side of the business. 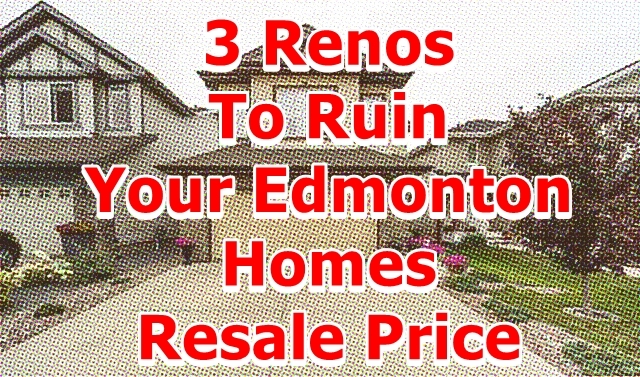 This Wednesday, we feature 3 ways to just do the opposite, 3 ways destroy the intrinsic value of your Edmonton home. Edmonton Homes For Sale are experiencing stricter competition than compared to last year, so knowing how to to ruin the resale price or value of your Edmonton home will, (we hope), help you avoid it.